The client is a leading full-service solutions provider for the commercial and residential real estate industry. The Client intends to develop a Real Estate website which allows search for land, lake homes, residential homes and commercial property by type, price, size and more. The client is a member agent of MLS and proposed to build the website where he could provide his researched information on top of the listings he gets from the MLS. 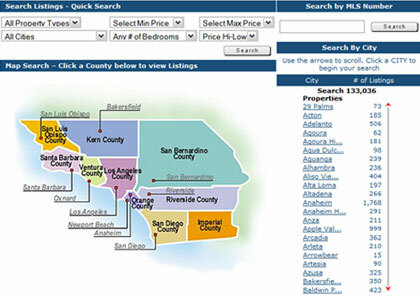 This site caters to users searching for real estate property. The site provides search for different types of properties like single family, town house rentals, multifamily, timeshare, vacation rental, vacation land and commercial. Users can search by selecting search criteria like Min price, Max price, city, Number of beds etc. Developing this Real-estate site was very challenging as the goal was of creating applications that are as rich and responsive. The client intended to have the site build with latest cutting edge technologies so that the information received by the users is accurate; this site fetches data from other sites. And also this site is intended to provide MLS data. A high level interaction was provided by using AJAX. AJAX was extensively used in this application. Web services were used to integrate the site with other feed providers. Latest in search engine technologies were used. In addition geocoding and geoparsing are used for processing of the ingested documents being indexed, to enable searching within a specified locality (or region).